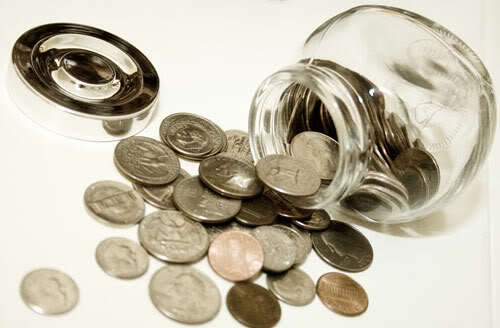 Life can be likened to a jar of quarters. With each quarter we have “heads” – good/happy experiences and “tails” – bad/painful experiences. These are of course relative states of experience since in life there is no good and bad per se, only different experiences. Sometimes in life, we feel as though we are experiencing many “tails” in a row. This can be very discouraging and disheartening although I assure you that this is time well spent. Lessons are being learned here and you are growing and evolving albeit through difficult passages. When we are in a “tail phase” of life, we can become very disillusioned, bitter and resentful for our fate. But that is not how you win in life. If you want the quarter of life to flip, you have to stand tall and steadfast with an air of grace and acceptance of the situation. Once you have mastered that, the quarter will flip and you will experience the “head phase” of your life – one which is singularly the reward for all the tails you have endured and surmounted. Before your life is completed, you have to have experienced every “head” and “tail” in that jar, so rest assured that if you are going through many tails in a row that the coins will have to eventually flip in order for you to experience the exact opposite situation. Life is about balance and experiencing the duality that has been set forth for each of us. So the next time you are feeling like you cannot get up out of bed, trust that the coin is going to flip soon. It must. It can be no other way. Your next experience is on the way.